This week seems to have been hard one for many. But whether hard or easy, saturated in correction or praise, we could all use the reminder of how desperate we are for Jesus. So here's a reminder to do a throne check and let the Holy Spirit live through you that not one moment would be wasted but we'd be able to stand before the Lord and hear Him say, "Well done good and faithful servant." 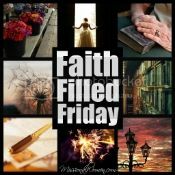 I'm so grateful you ladies choose to take the time to link up here for Faith Filled Friday. It's an encouragement to hear of how the Lord is leading and teaching other people out there and encouraging to know we are in this life together making Jesus known. There's always so many great posts so it's hard to pick just a few. Just Passing Through @Sharon Sharing God #3. This past week has been filled more death I thought possible in one week. I have many friends grieving for loved ones, so this was so timely. Stones @My Life as an Adventure #12. It's easy to feel like you don't fit in (especially in the online/blogging world). So this is a great reminder and encouragement. Jesus, Church & Risking Rejection @Laura Connell #21. Such an incredible look at risk and rejection, "You see, I’m not scared to do big things. I’m scared to do little things." So good! Hi Laura! My poem that I shared today includes that scripture "Well done" and I didn't know that you were going to mention it today too. You'll find it on my Make My Saturday Sweet weekend blog hop. How fun! I look forward to reading it!! Thanks a lot for this short but powerful teaching. I am working hard on daily surrender and I know God's grace is available and I lean wholly on it. 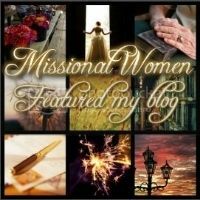 I shared my post on on Vital Things Every Christian Must Remember, the linky didn't allow the whole title so I had to abbreviate to JUST REMEMBER and it is somewhat similar to what you teach. Oh bummer! I must have forgotten to make the titles able to be longer than 15 characters. I'm sorry.